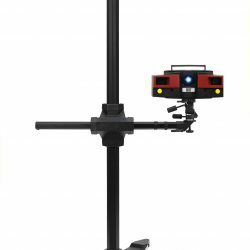 The ATOS Triple Scan is an optical non-contact 3D scanner that is able to measure millions of points upon a part surface using structured blue light. 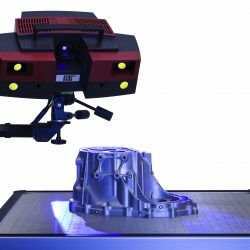 The system operates using advanced projection patterns and calculations in order to produce accurate and precise measurement data for inspection and geometrical analysis. 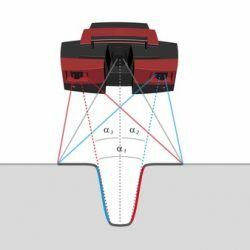 Measurements of shiny surfaces and complex object geometry are both possible with the functionality of the ATOS Triple Scan. Using the cutting edge Triple Scan functionality, the number of scans required to capture data is reduced significantly. 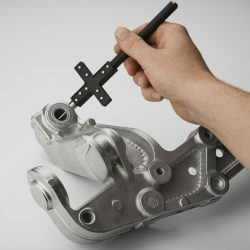 Shiny surfaces such as sheet metal parts and dark coloured tools can be scanned directly using Triple Scan functionality. Complex part geometries are also made easier to scan, with fewer measurements needed to capture the required data for inspection. 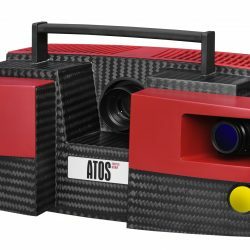 The ATOS Triple Scan comes with up to 16 megapixel high resolution, stereo measuring cameras designed specifically for optical measurements. Accuracy, resolution and measuring area can all be modified to suit the application requirements. Eliminate travel costs and save time by moving the system to the part. 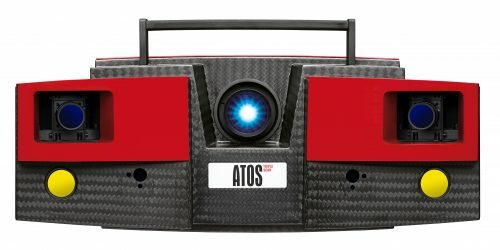 The ATOS Triple Scan is completely portable and can be relocated with relative ease. With the use of dynamic referencing, difficult environment conditions are accounted for to maintain high quality scans. The GOM Touch Probe allows discrete point measurements in conjunction with ATOS Triple Scan measurements for points that are hard to obtain via line of sight issues. The touch probe can be used for online data alignment as well.